When it comes to office furniture, you can rely on the products offered by The Home and Office Stores. Office furniture sold here is made of durable and quality materials, and many items can be matched together to make complete set. 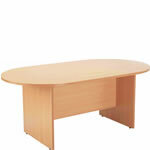 Board room tables, cupboards, desks, filing cabinets, and pedestals are all available. Board room tables come in beech colours and are 25mm thick with a 2mm edge band. There are around tables in this office furniture section and a longer, oval model for larger groups. The small table sits four, while the long table sits up to six comfortably. Office furniture comes with a five-year manufacturers guarantee, so you know it can withstand a lot of use! Office furniture includes desks, and there are models for children, small models for small offices, and long corner desks available. Some of the colours include white, beech, and acacia. 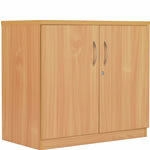 Cupboards and filing cabinets can be a great asset when setting up office furniture at a company. 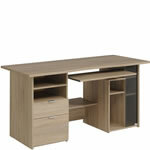 These items come in white or beech, and feature tall models and low models. Filing cabinets come with four drawers, while cupboards are available in two doors and match other pieces, which might be chosen from the office furniture section.